Floccinaucinihilipilification is rife in cork-sniffing audio circles. Those afflicted with pathological gear acquisition syndrome typically deride digital models of vintage music-making gear (sometimes before listening, it seems), citing lack of 'warmth', 'character' and /or lack of whopping price tag. Consider that the vast majority of one's audience will rarely hear an original, 1970s' Oberheim Synth Expander Module (SEM), or a modern-day version, such as the forthcoming Two Voice, pictured left. The closest they'll get is a binary description of it, digitally rendered, processed during mixing and mastering and delivered as part of a CDA, AAC or MP3 file. Once it's been squirted at their tympanic membranes via earbuds, who in the audience will really be able to spot the difference between the sound of hardware and software? Conversely, how about we try to emulate the software version in hardware? 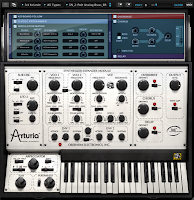 First, you'll need budget for eight examples to equal the SEM V's 8-voice multitimbrality (originals were monophonic, 2-, 4- and 8-voice polyphonic), mods including an extra white noise generator, sub oscillator, another LFO, overdrive, delay and chorus effects, a hardware sequencer/arpeggiator and a patch bay to replicate the modulation matrix. Quite how we'll go about instantly changing patches, or implement portamento, the Voice Programmer and Keyboard Follow, is uncertain. 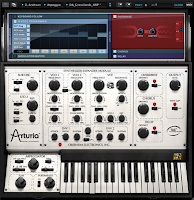 What is certain is that aping Arturia's offering in hardware is ridiculous. 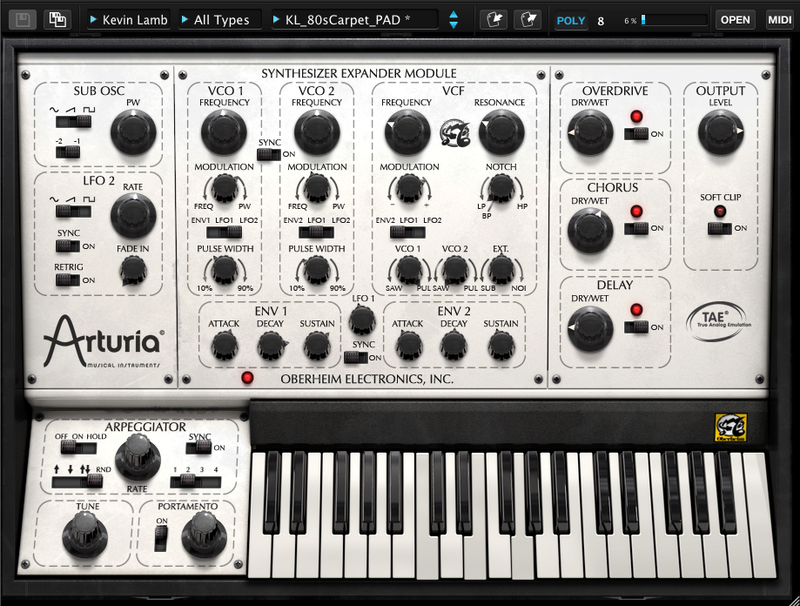 Even Tom Oberheim, back to producing hardware synthesizers once more (hallelujah! ), points out that while nothing on the planet sounds like a hardware model, there are limitations concerning parameter control and patch storage with his latest SEMs. 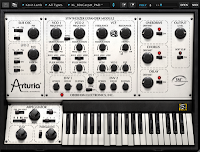 The SEM V is a veritable bargain and even more so when bought as part of the V Collection, which features 10 examples from Arturia's Analog Classic series, each of which could be described as must-have (and each of which is slated for MuzoBlog coverage), all for less than £400. All sounds from this cinematic track come from the factory presets by Kevin Lamb. 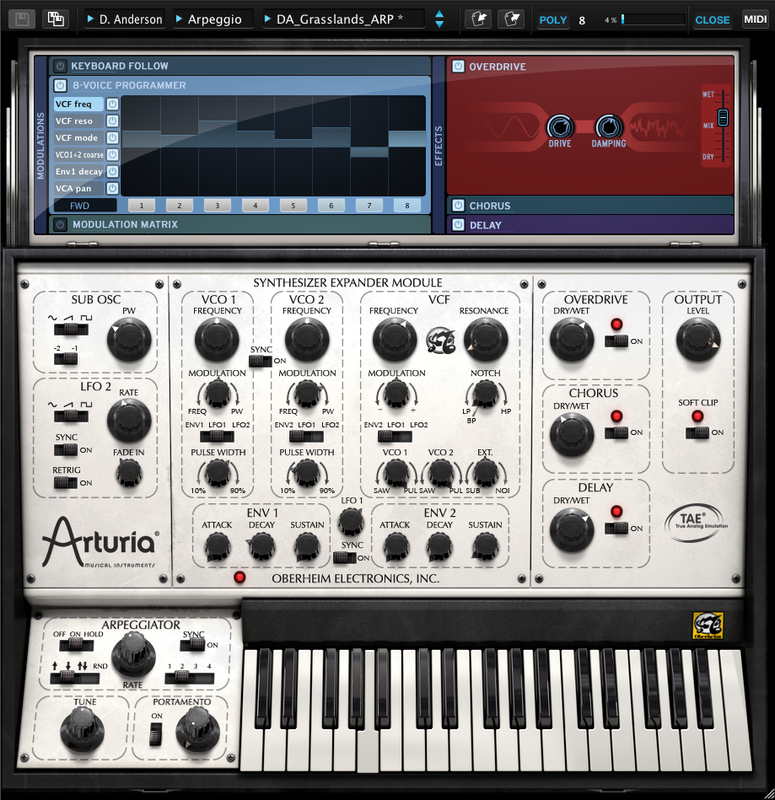 There are no FX or channel EQ, but mod wheel and aftertouch are used to morph sounds and show off features. This piece is in memory of the brilliant synth DIY engineer/musician Jürgen Haible. This ambient track showcases some deep pads and a sequence affected by the notch position of the filter. Thanks to the Voice Programmer, the panning of each voice is cycling which brings a spacialization effect typical of the 4 and 8-Voice models. 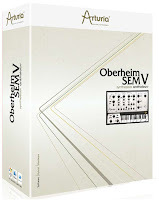 All sounds are from the Oberheim SEM V, including percussion. The Arpeggiator is used in combination with the 8-Voice Programmer module in order to create a lively and organic arpeggio. 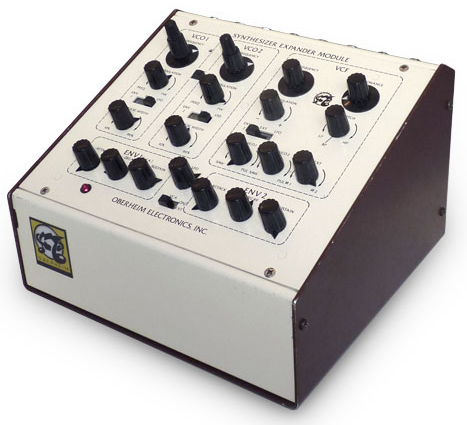 The continuous shift from one voice to another, through different settings of filter, tune, pan and volume, generates a instability that is characteristic of the Oberheim x-Voice series. This demo, in the fashion of 1970s' krautrock improvisations, shows typical Oberheim orchestral sounds generated only by one instance of eight voices. The output is processed through the on-board overdrive and analog delay units to generate the dirtiness and low-fi of early tape recordings. 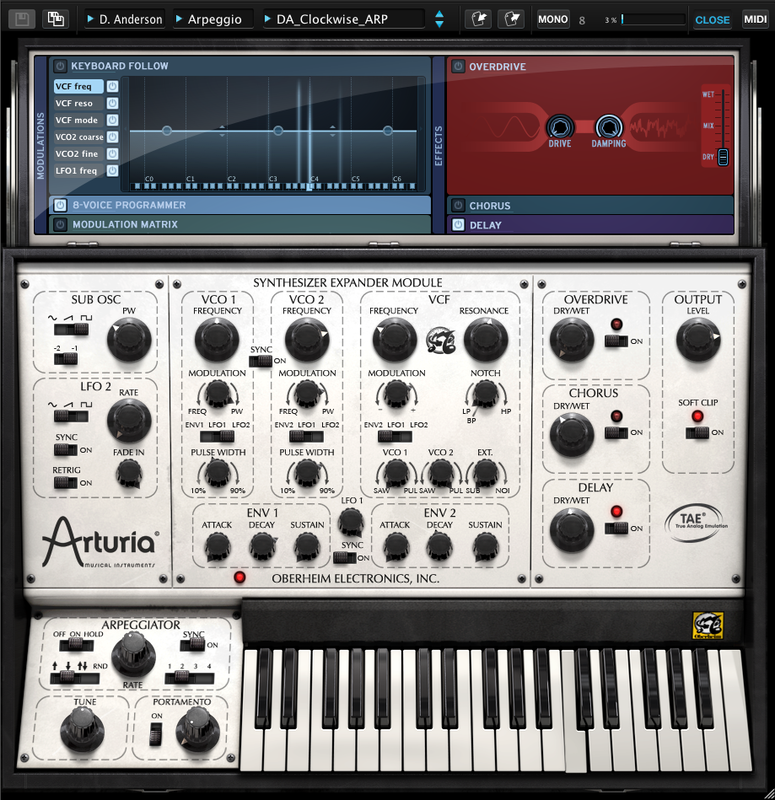 Three presets for a technoid workout: A classic acid bass line; a smooth, arpeggiated melody; and a rich pad using a hard-synced oscillator. All drums/percussion are from the 909 preset in Spark and just external compression and side-chaining are added. You can hear the characteristic SEM filter sweep through band-pass, low-pass, notch and hi-pass modes. This rich pad mixes sawtooth with pitch modulation and pulse wave with pulse-width modulation. A typical Oberheim brass sound, as heard on the 1980s' Van Halen hit Jump, with added envelope modulation bringing a more realistic pitch-shift on the attack. Warm, characterful and phat? Yes indeedy. Hit on one of the wider patches, engage the apreggiator and start grinning like a loon. You can readily appreciate why such synthotic luminaries as Goldfrapp and Herbie Hancock went a bundle on the Oberheim sound. And, like the knob-festooned hardware SEM, this emulation is a doddle to programme. 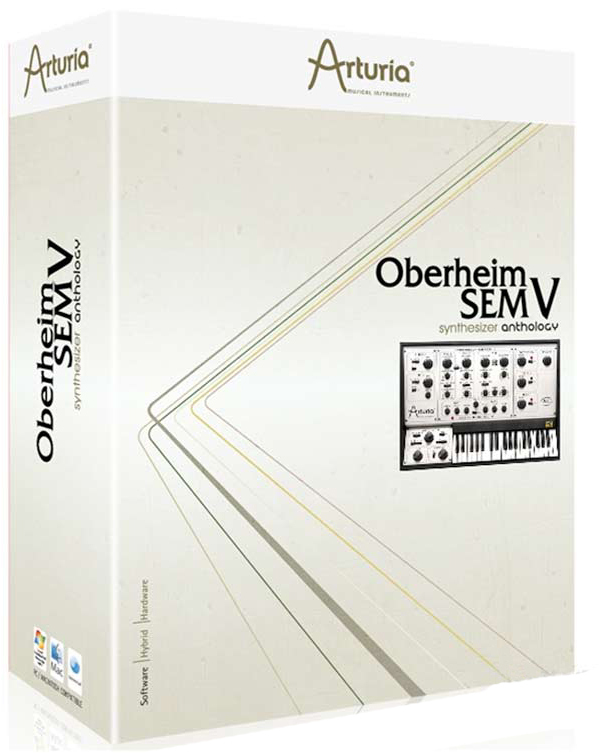 Ease of programming extends to MIDI, and God knows what kind of gate/CV rig you'd need to fully interface an olde-worlde Oberheim SEM with a DAW. In software, however, just click the MIDI button to see the knobs change colour ready for MIDI-learn assignment. 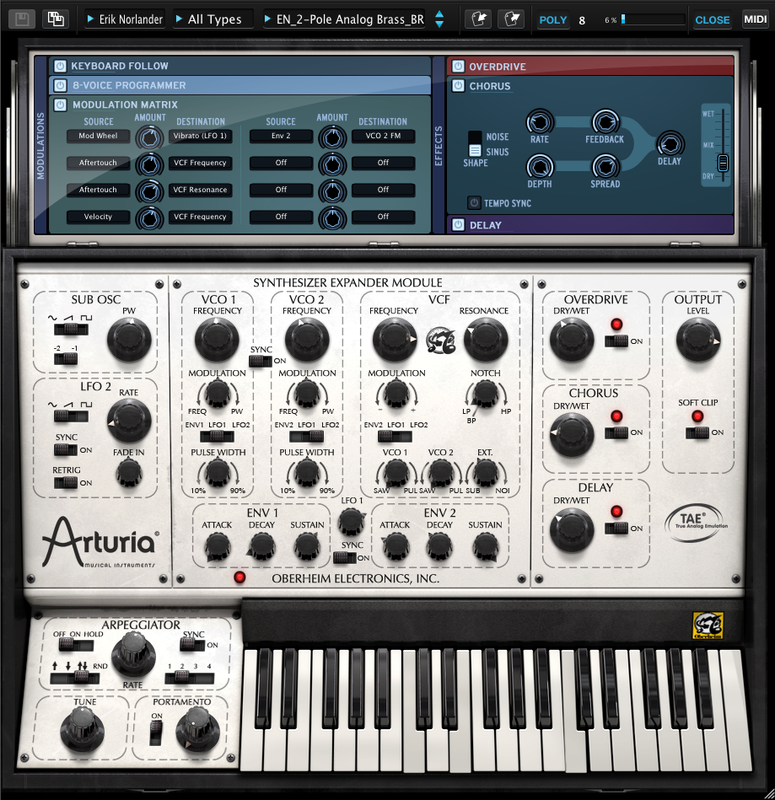 From the simplest aspects of the SEM's hardware incarnation, such as the action of the coarse- and fine-tune dual-concentric knobs being replicated as right-click functions, to the rich, organic output of the twin oscillators and the 12dB/octave four-mode filter, the developer has nailed this emulation. Add Keyboard Follow with mod-curve drawing into the mix. Ponder the Voice Programmer's facility to mess with all eight multitimbral voices in sequence. Consider the huge potential of the mod matrix by which you can assign up to eight sources to more than 25 destinations, eight at a time. Then take a look at your bank balance. It all starts to make a lot of sense. In a blind test, I'd defy cork sniffers to distinguish between the hardware version and this emulation, until the SEM V starts doing things that its 1970s' forebear cannot. Sure, there's still a healthy demand for retro kit, but you're going to have to sell a few records to buy in. 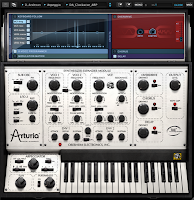 If desirous of the analog-style grunt Arturia's SEM V offers, especially to genres that depend on squelch-heavy bass, you'd be hard pressed to find better at the V Collection group-buy price. You may not have the reassurance of knowing there's a lump of analog hardware driving things, but that's the kind of knowledge that can queer the results of blind testing. As any audio engineer will tell you, oft times it's better to close your eyes and let let ears direct proceedings.